Next week the University of Minnesota will be hosting several plot tours and all are welcome to attend. Small Grains Plot Tours. Small grains plot tours will be hosted throughout the region next week beginning at 8:30 AM on Monday, July 16 at the John Walkup Farm in Fergus Falls. On Tuesday, July 17 at 9 AM the plot tour will visit the Swenson Seed Farm in Oklee. The tour will then travel further north and west to the Neil and Mark Wiese farm in Hallock on Friday, July 20 at 9 AM. The last tour stop is at the Jim Kukowski Seed Farm in Strathcona on Friday, July 20 beginning at noon. Presenters at each location may include small grains agronomist Jochum Wiersma, small grains plant pathologist Madeline Smith and crops educators Jared Goplen specializing in weed management, Phil Glogoza specializing in pest management and Angie Peltier specializing in disease management. Click here to access a copy of the small grains plot tour brochure. If you have questions about the small grains plot tours, contact Jochum Wiersma at (218) 281-8629. Northwestern Research & Outreach Center (NWROC) Crops & Soils Day. Farmers, ag service providers, certified crop advisors and those that just have an interest or curiosity about crop production are welcome to attend the University of Minnesota’s NWROC’s annual Crops & Soils Day on Wednesday, July 18. On this day folks will take a wagon ride to different stops on the NWROC’s North Farm where university researchers will be on hand to present their latest research results. 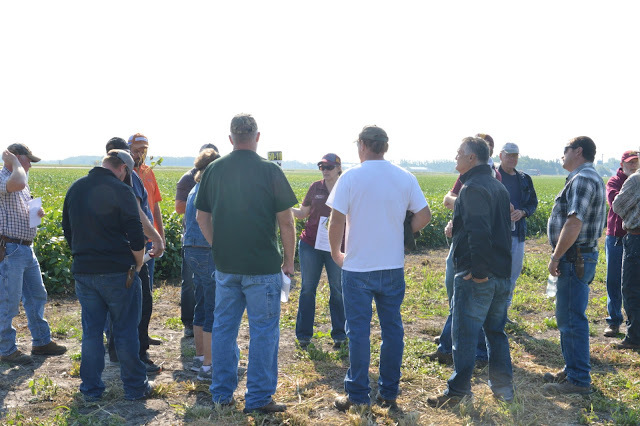 There two morning tours (north and south) will focus on small grains agronomy, breeding, weed and disease management, potato pest management, corn urea research and corn and soybean disease management. Registration for the morning tours begins at 7:45, tour wagons leave at 8:15 AM and will be followed by a complimentary noon lunch. Beginning at 12:30 people can register for the afternoon sugarbeet plot tours. Wagons for the afternoon tour will leave at 12:50 PM. Certified crop advisors can earn continuing education units on all tour routes. While we hope for a day filled with sunshine, the event will be held rain or shine with presentations taking place inside in the event of inclement weather. Click here to access a copy of the NWROC Crops & Soils Day postcard. Should you have questions about or require a disability accommodation for the NWROC Crops & Soils Day contact Maureen Aubol at (218) 281-8602.